Mr. Clifford’s practice consists of a number of areas including, tribal government development, economic development, commercial and business transactions, government relations, land consolidation and probate, Indian Child Welfare Act matters, and day-to-day general counsel services to Tribes. Prior to joining the firm, Mr. Clifford was an associate at Karshmer & Associates PC, a law firm specializing in Indian law practice. During his tenure at Karshmer, Mr. Clifford provided a number of legal services to various tribes in several states on a variety of issues including, economic development, transactional work, probate law, development of tribal laws and tribal courts, Indian Child Welfare Act cases, cultural preservation, and torts. Prior to Karshmer, Mr. Clifford was at first a legal clerk and then an associate with the Law Offices of Mark Brodka. While working with Mr. Brodka, Mr. Clifford represented Bing Crosby's beneficiaries in litigation against various record companies and also worked on other issues, including business litigation, real estate litigation and intellectual property litigation. In addition to being a legal clerk for the Law Offices of Mark Brodka, Mr. Clifford was an intern for the Los Angeles chapter of the American Civil Liberties Union while attending Loyola Law School in Los Angeles, California. At the ACLU, Mr. Clifford worked on cases involving the protection of children from lead based paint and safe living conditions for inmates at prison facilities. As part of Loyola’s pro bono program, Mr. Clifford authored a report on the status of Native American reparations for the human rights organization, HEED and served as legal clerk for the National Lawyer’s Guild. While attending Loyola, Mr. Clifford was a member of the Saint Thomas More Honor Society and the Native American Student Association. Mr. Clifford received his JD from Loyola Law School of Los Angeles and a Bachelor of Arts from California State University at Long Beach where he majored in Philosophy with a Pre-Law emphasis and minored in Native American Studies. Mr. Clifford is a board member for the California Indian Law Association and currently serves as CILA’s Secretary. 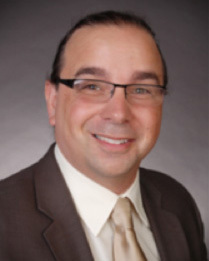 Mr. Clifford is licensed to practice law in the state of California and is a member of the Oglala Sioux Tribe.